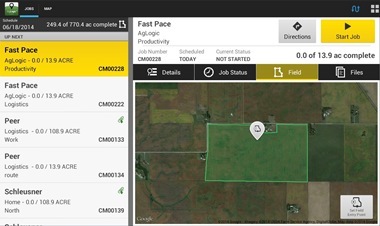 The AgLogic™ solution provides turn-by-turn directions to any field or facility associated with the work order. 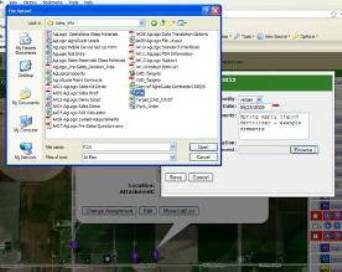 Schedulers and managers may also view and track operators from the website to verify current location and status. AgLogic™ system improves capabilities to manage risk, making sure the right resources get to the right place at the right time. 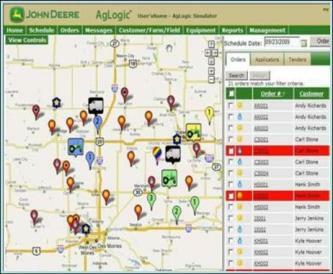 AgLogic solution can easily sort out work orders based on product to be applied. The scheduler can quickly schedule the same product application to the same applicator, reducing the need to rinse out and risk of contamination. Schedulers and operators can easily view weather conditions such as air temp, wind direction, wind speed, and radar in motion to know if applicators will be affected and quickly adjust schedules. 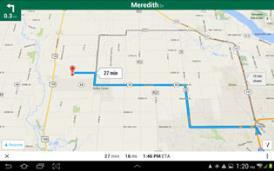 Driving directions — applicators and tender drivers can get driving directions to the field. 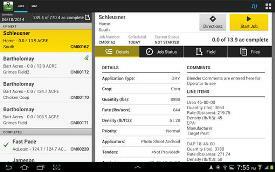 Field view on tablet allows the operator to confirm the correct field is being worked. DriftWatch™ sensitive crop registry allows both the scheduler and operator to see where sensitive crop locations are in relation to scheduled work as well as contact info for the grower. 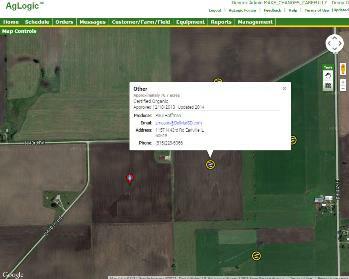 Use the AgLogic™ web application to view the current location of assets. The GPS position is updated one time per minute, providing the scheduler with valuable machine location and status. File transfer enables two-way file transfer between the office and the field. 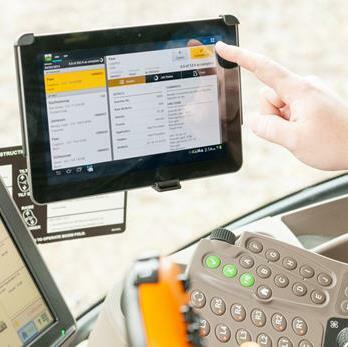 The AgLogic™ solution can wirelessly send a prescription file directly to the mobile device in the cab. When the file is received, the operator is prompted that a file is attached to the work order. 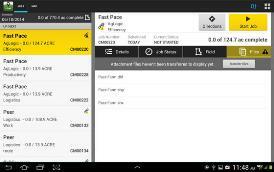 The file can then be moved from the mobile device to any supported display via a USB stick or John Deere Mobile Data Transfer. If a work order is assigned to an applicator that is equipped with a GreenStar™ 3 2630 Display and Wireless Data Transfer subscription, then the prescription file will automatically be sent from AgLogic to the display. 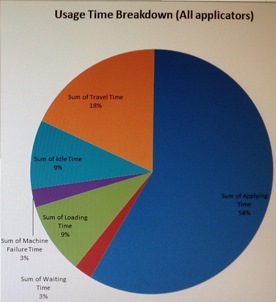 As-applied data can be attached to the work order in the applicator cab. The as-applied data is stored with the completed work order in the AgLogic system and can be migrated to other back-office software applications. NOTE: File transfer is available with the AgLogic Advanced license only.